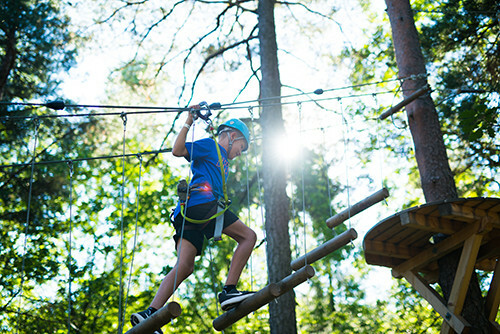 “Tree Top Adventure” or "Aerial Forest Adventure" are fun and active high-wire courses which can be constructed in natural environments, in unique sites (such as in abandoned fortress), artificially (when there is no existing anchorage support), and even indoor. They are targeted to appeal to both business and the general public. 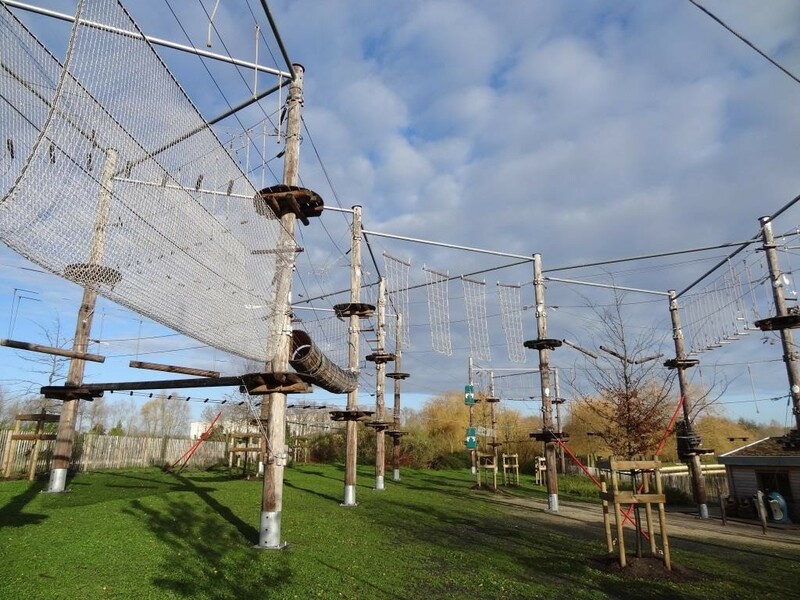 Our rope courses can be easily used by a wide range of people, including children older than 3 years, adults (of all levels of fitness), families, and even groups! 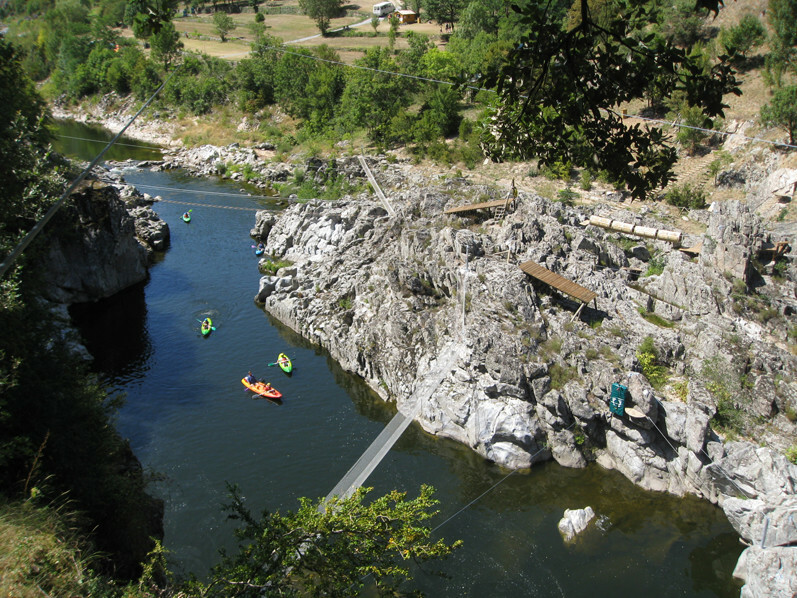 Our parks are made of several rope courses of varied and progressive difficulties. Each course is composed of equipment (e.g. zip lines, monkey bridges) suspended from the forest canopy. 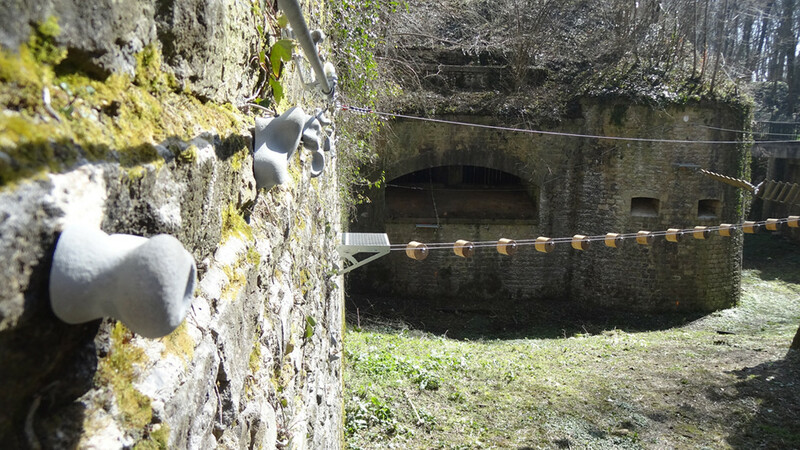 Platforms and cables connect the separate course parts and integrate them seamlessly into the natural environment. With the use of climbing equipment (belay device, harnesses, carabiners, lanyards, and track pulleys), users can therefore climb from tree-to-tree, progress across rugged cliff faces, or traverse wide gorges. 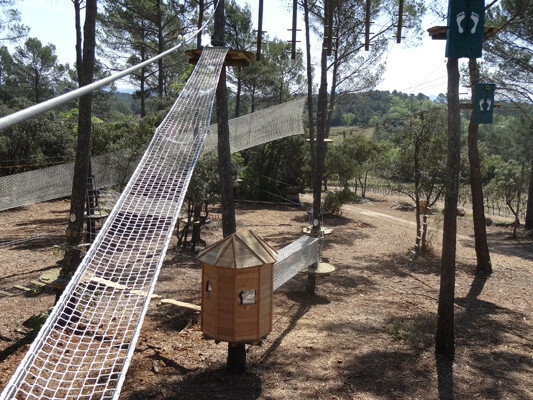 Tree Top Adventure concept was created in France at the end of the 1990s by a mountaineering expert. 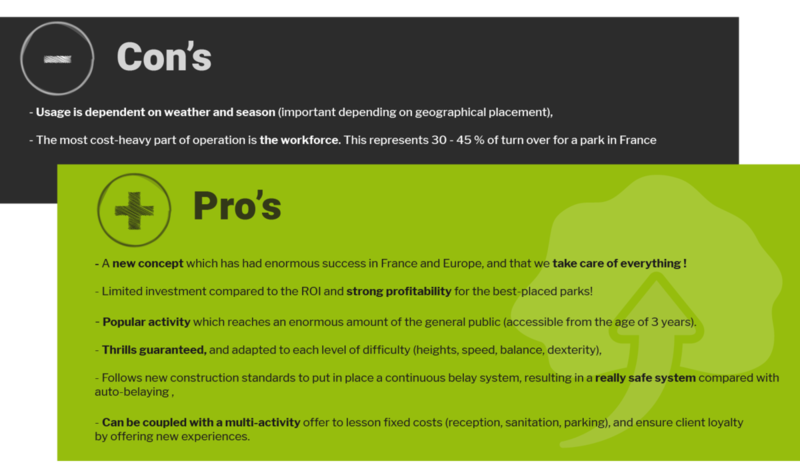 There are now over 650 such parks in France. Production of the parks increased dramatically in Europe after 2005, and has now spread worldwide. When Tree Top Courses were first released, the clientele were generally active people in search of a thrill. Our parks have now evolved to welcome families and the general public, who come to relax and have a good time without effort. The new clientele demanded heightened security and safety measures. 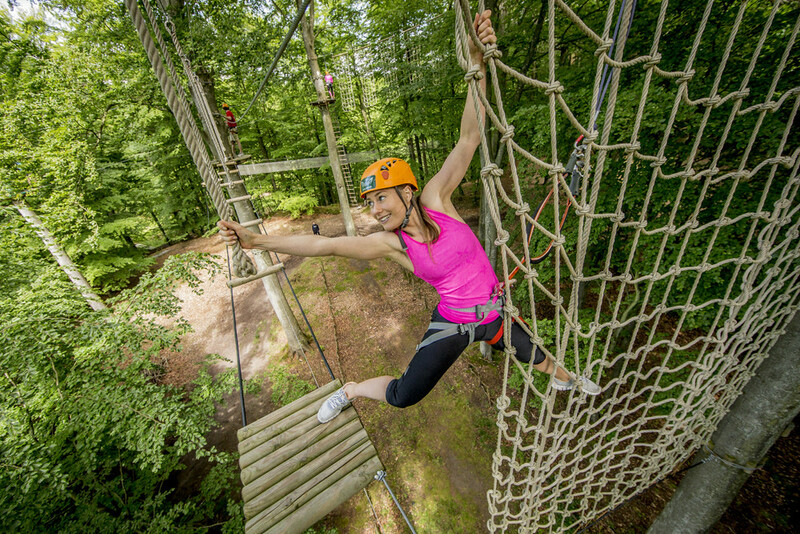 Regulations have evolved considerably in this sense, and clients can now benefit from a continuous belay system spans the entire obstacle course. 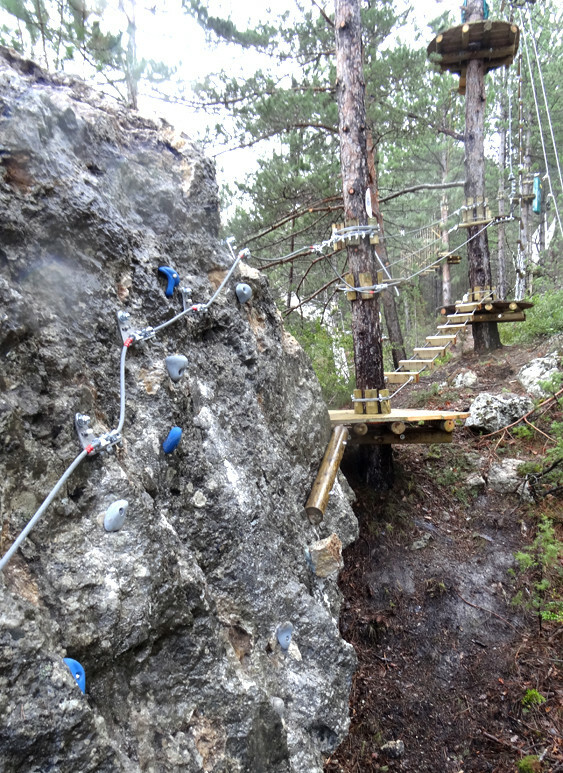 Visitors remain attached to the lifeline from the start of the course to its finish, whereas they once instead used auto-belays. In order to help you stand out from competitors, we commit to creating rope courses that are personalised and adapted to your site. Each site is visited before the final quotation is given. The design is optimised to reduce operating constraints while highlighting the advantages of the site. We work with the majority of belay device manufacturers to offer the best-adapted security system for your site, your needs, and your budget. How to build a rope course ?